Hub motors for bikes have become so plentiful and cheap that I finally got around to buying one. 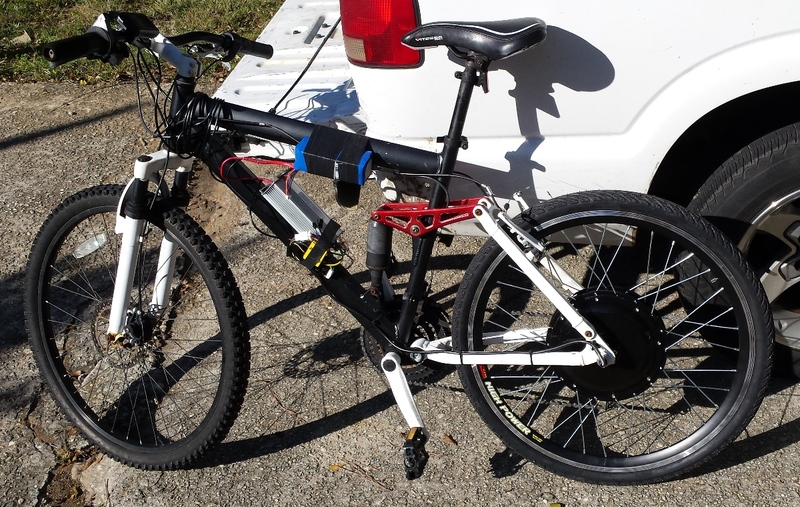 You can get a 1000 watt hub motor with everything but the battery for under $250 off Ebay. 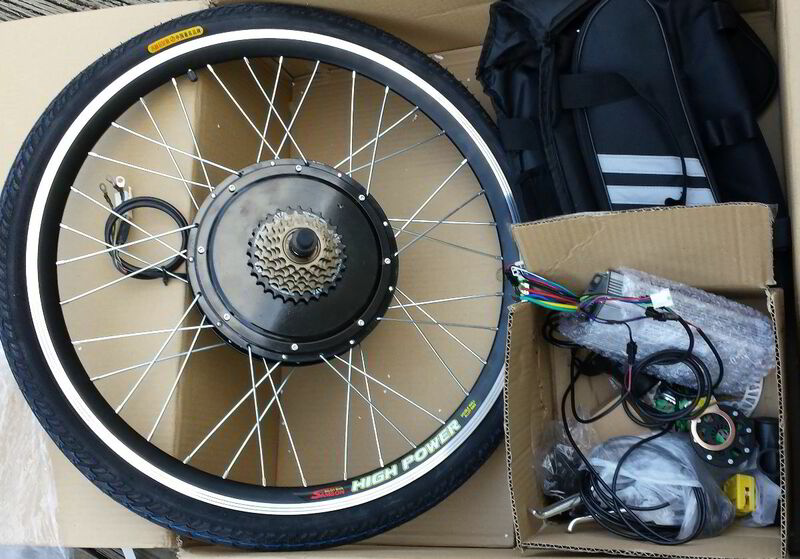 I got the 26 inch rear wheel which comes already laced to the hub and includes a tire as well. I had an old junker bike that the guys at the bike shop gave me. It was pretty rough but had all the parts just needed a new chain. This was enough to test the motor out with just 2 6S 5 amp/hour batteries in series for power. I've since made a bracket to mount the controller under the frame and I think I can get 15 amp hour 12S worth of batteries in the space in front of the rear shock.